and Tyndale's quill logo are registered trademarks of Tyndale House Publishers, Inc. Copyright Â© 2001 by Sigmund Brouwer. All rights reserved. under ISBNs 0-8423-4308-3 and 0-8423-4309-1. Cover image copyright Â© by Digital Vision Ltd. All rights reserved. , New Living Translation, copyright Â© 1996, 2004 by Tyndale House Foundation. Used by permission of Tyndale House Publishers, Inc., Carol Stream, Illinois 60188. All rights reserved. This novel is a work of fiction. Names, characters, places, and incidents either are the product of the author's imagination or are used fictitiously. Any resemblance to actual events, locales, organizations, or persons living or dead is entirely coincidental and beyond the intent of either the author or the publisher. 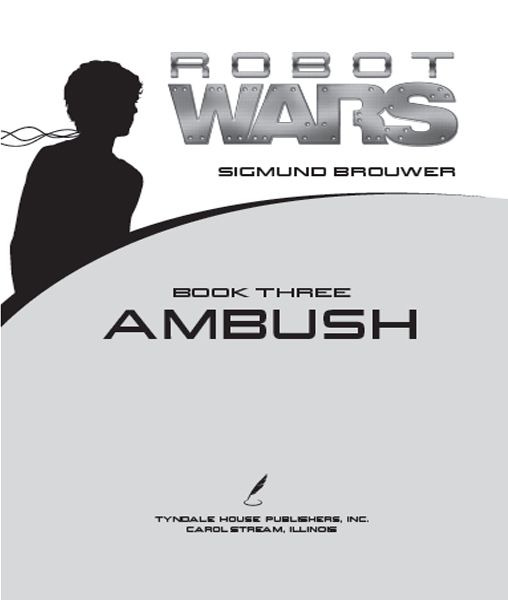 Â Â Â Â Ambush / Sigmund Brouwer. 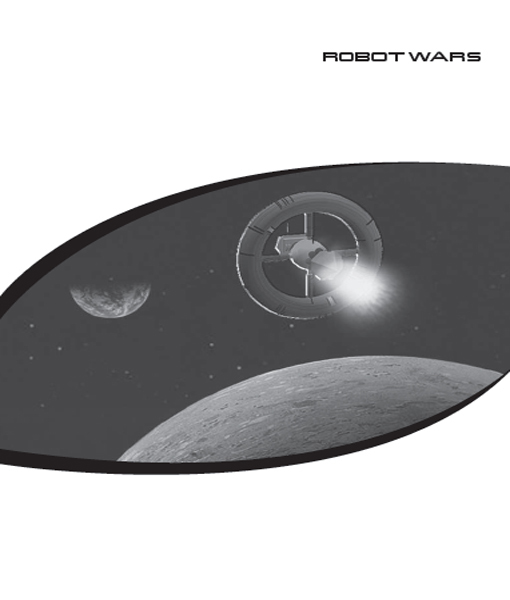 Sole Survivor; and Mars Diaries, Mission 6: Moon Racer.”âT.p. verso. Â Â Â Â I. Brouwer, Sigmund, date. Mars diaries. Mission 5, Sole survivor. II. Brouwer, Sigmund, date. Mars diaries. Mission 6, Moon racer. THIS SERIES IS DEDICATED IN MEMORY OF MARTYN GODFREY. really cared. We all miss you. We live in amazing times! 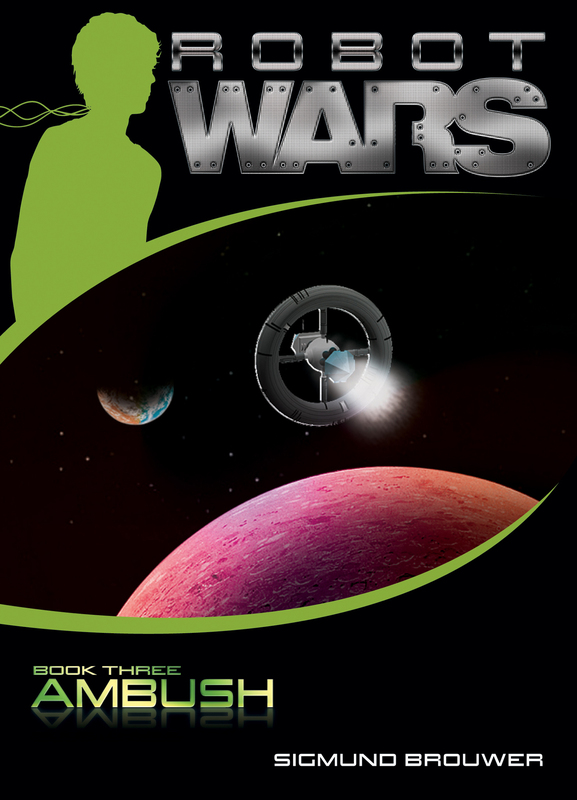 When I first began writing these Mars journals, not even 40 years after our technology allowed us to put men on the moon, the concept of robot control was strictly something I daydreamed about when readers first met Tyce. Since then, science fiction has been science fact. Successful experiments have now been performed on monkeys who are able to use their brains to control robots halfway around the world! Suddenly it's not so far-fetched to believe that these adventures could happen for Tyce. Or for you. Or for your children. With that in mind, I hope you enjoy stepping into a future that could really happenâ¦. Journal One: Does God Speak to People? 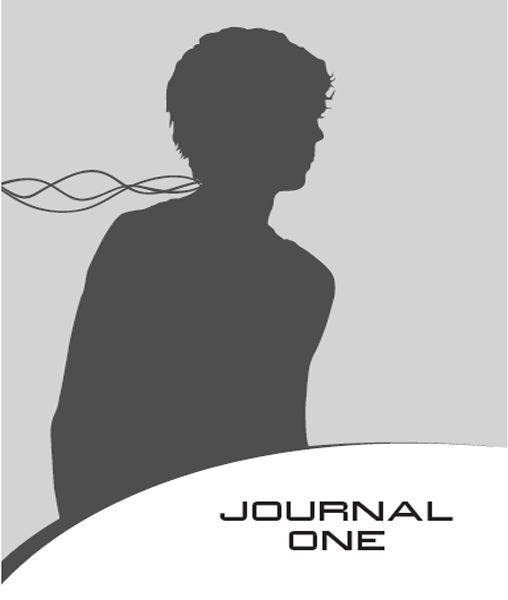 Journal Two: Will Computers Someday Replace Man? The wheels of the robot body under my control hummed as the robot sped across the red, packed sands of the flat valley floor toward the hills about five miles from the dome. Thin Martian wind whistled around me, picking up the grains of sand that the robot wheels sent flying into the air. The sky was butterscotch colored, the sun a perfect circle of blue. Streaks of light blue clouds hung above the distant mountain peaks. But I wasn't about to spend any time appreciating the beauty of the Martian landscape. Not with a cave-in ahead and desperate scientists waiting for whatever rescue attempt was possible. Robot bodies don't sweat with fear. But if they did, my own fear would have beaded on the shiny surface of the robot's titanium shell. While I was still in the dome, on a laboratory bed using X-ray waves to direct the robot body, all my thoughts were frantic with terror and worry. Once before I'd been sent on a rescue mission. A real rescue mission, instead of the usual virtual-reality tests for the robot body that I'd spent years learning to handle as if it were my own body. The first rescue mission had been to search for only one person, lost in the cornfields of the science station's greenhouse. This time was just as real. And far more frightening. Two hours earlier, four people in space suits had walked into a cave to take rock samples. They were searching for traces of ancient water activity and fossil bacteria. According to standard field procedure, they'd sent back their activities on real-time video transmissions beamed directly to the dome. An hour laterâonly 60 minutes agoâthe images and their voices had stopped abruptly, thrown into blackness and drowned out by a horrible rumbling that could only be caused by the collapse of the cave's ceiling. Now all that remained to give an indication of their location deep inside the rock were the signals thrown by the GPS in each of their space suits, which bounced sound waves off the twin satellites orbiting Mars. Four signals then beeped steadily, clustered together where the four people had been buried alive. If the weight of the rock had not crushed them, they had about three days to live. That was as long as their oxygen and water tubes would last. Back at the dome, a rescue team was being assembled. At best, they would be ready in another hour. Which meant anything and everything I could do quickly with the robot might make a crucial difference in the survival rate of those four people trapped by the cave-in. Most terrifying of all, one of the GPS signals came from the space suit of my best friend, Rawling McTigre, director of the Mars Project. Fast as my robot body moved toward the site of the cave-in, back in the dome my body was totally motionless in the computer lab room. As usual, I was on my back on a narrow medical bed in the computer laboratory. I wore a snug jumpsuit in military navy blue. My head was propped on a large pillow so the plug at the bottom of my neck didn't press on the bed. This plug had been spliced into my spine when I was barely more than a baby, so the thousands of microfibers of bioplastic material had grown and intertwined with my nerve endings as my own body had grown. Each microfiber had a core to transmit tiny impulses of electricity out through the plug into another plug linked into an antenna sewn into the jumpsuit. Across the room a receiver transmitted signals between the bodysuit antenna and the robot's computer drive. It worked just like the remote control of a TV, with two differences: Television remotes used infrared and were very limited in distance. This receiver used X-ray waves and had a 100-mile range. As for handling the robot body, it wasn't much different from the sophisticated virtual-reality computer games that Earth kids had been able to play for decades. In virtual reality, you put on a surround-sight helmet that gives you a 3-D view of a scene in a computer program. The helmet is wired so when you turn your head, it directs the computer program to shift the scene as if you were there in real life. Sounds come in like real sounds. Because you're wearing a wired jacket and gloves, the arms and hands you see in your surround-sight picture move wherever you move your own arms and hands. I'm moving the muscles. My brain sends the proper nerve impulses to the robot, and it moves the way I made the robot move in the virtual-reality computer program. The robot has heat sensors that detect infrared, so I can see in total darkness. The video lenses' telescoping is powerful enough that I can recognize a person's face from five miles away. But I can also zoom in close on something nearby and look at it as if I were using a microscope. I can amplify hearing and pick up sounds at higher and lower levels than human hearing. The titanium robot has fibers wired into it that let me feel dust falling on it if I want to concentrate on that minute level. It also lets me speak just as if I were using a microphone. It can't smell or taste, however. But one of the fingers is wired to perform material testing. All I need are a couple of specks of the material, and this finger will heat up, burn the material, and analyze the contents.